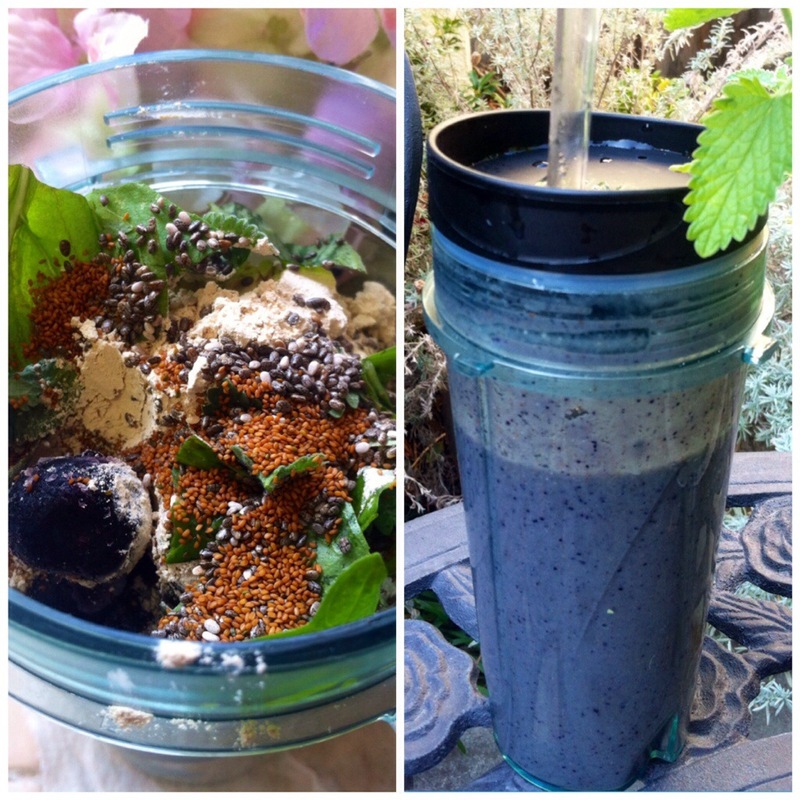 Chia Seeds, Peaches, Blueberries, Bannana, Basil, Cat Nip, Almond Milk and Vanilla Protein. Chia Seeds are tiny power houses containing: Omega 3, Fiber, Anti-oxidents, Minerals and can help to Regulate the blood. Chia Seeds also expands to give you a fuller feeling and curb the appetite. Start shaking your inner beauty!